Rutherford Contracting is a general contractor that services the Industrial, Institutional, Commercial and Civil sectors in Ontario. Rutherford's Buildings division specializes in educational facilities, industrial and commercial structures. We have an extensive portfolio of both public and private clients. Rutherford has completed several historical restoration projects, building moves, new builds, retrofits, and additions. The Site Development division completes many types of projects- including civil and infrastructure contracts, park and athletic sports field construction, trail construction, and re-naturalization/habitat construction. We offer our clients small project services, emergency repair, and property maintenance services through our small projects division. Over 70,000sq.ft. of roof replacement and interior renovation – gymnasiums wood floors (new floor in Lower Gym and refinish of existing hardwood in Upper Gym), new VCT and rubber base in multiple rooms, resilient athletic surfacing in Music Room, abatement of existing floors, new ceilings and light fixtures in two classrooms, new exterior lighting, new door hardware throughout the school. 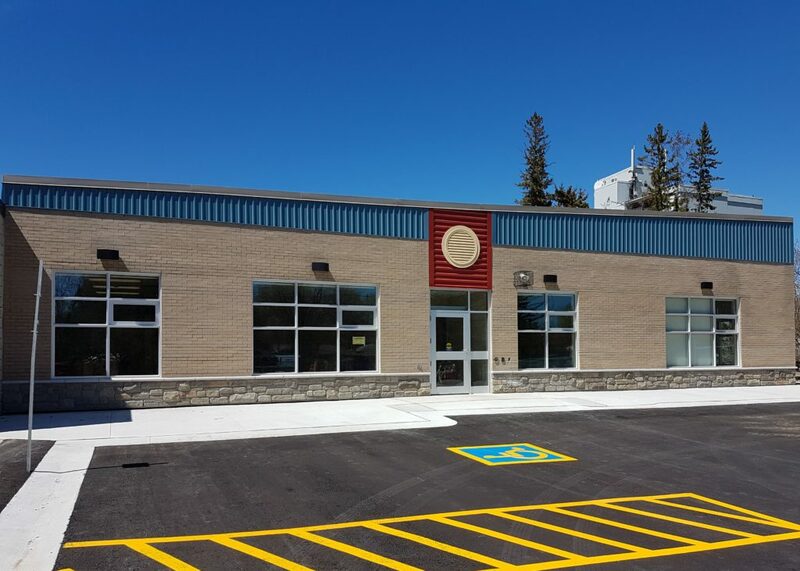 Work of this Contract comprises a new single storey 5,200 sq ft, sprinklered Childcare Addition to Orchard Park Public School in Orillia. The work includes extensions of building services for fire protection, domestic water, and sanitary services. Civil work consists of modifications to lot grading and new bioswale. Another successful project completed! 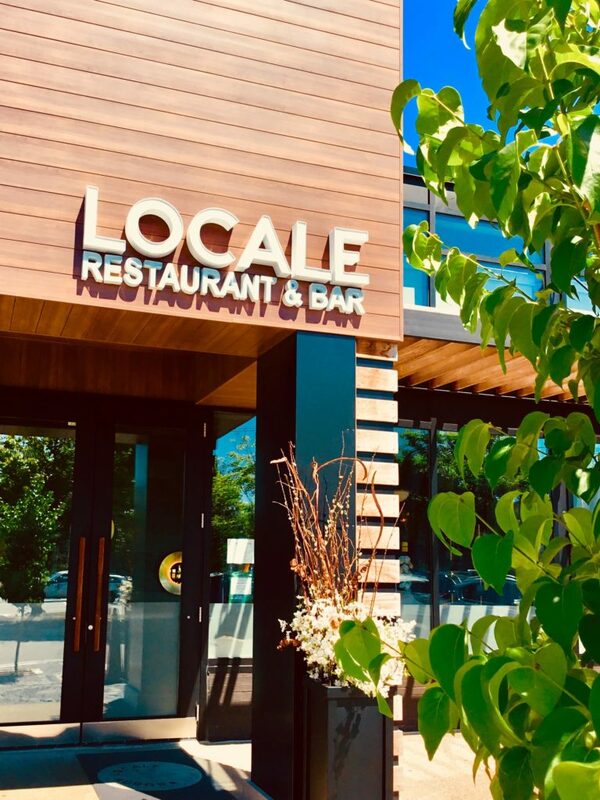 Special thanks to our design friends from tillmannassoc.ca for sharing these pictures with us of Locale Restuarant and Bar located in Aurora. Client: Armadale Properties Limited and HVS Holding Inc. The outdoor work involves an array of skills, materials and finishes/furniture to complete a wonderful play area for the kids attending the facility. For a small outdoor area, the work involved is as complex with as many tasks as the interior space. In all, a challenging and exciting project to have worked on. Memorial Square involved the relocation of an existing historic monument to a more central location within the square and the construction of an elegant plaza that will serve as host to events of historic significance. Meridian square involved the construction of a performance stage for different types of events, concerts in particular. The functionality of the space is intended to be flexible to allow for varied programming and be able to host both large and small events. Construction of an artificial turf soccer field at Stewart Burnett Park for the Town of Aurora. Site works include; excavation, site grading, and silt fence. Granular base with multi-flow drains required for base of the artificial turf field. This project also includes installation of electrical poles and light fixtures as well as concrete paving, chainlink fence, and site finishings such as soccer nets, bleachers and team shelters. 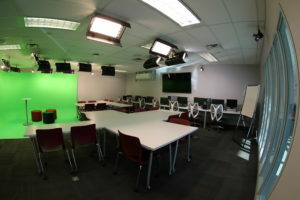 Seneca College at York U – specifically, the School of Media, Faculty of Communication, Art and Design program requires a new integrated newsroom space to support its program review recommendations and curriculum renewal plans. One of the requirements of the client is to incorporate movable furniture based on different spatial configurations to support flexible use of space and collaborative learning. The space will allow other courses to use this space. Students must also be able to produce content for all platforms, such as audio, video and online after the renovation is completed. The scope of the work involved a number of trades, including electrical, mechanical, drywall, and some specialty trades for specific installation of the ProCyc (green wall) and flooring. The coordination between trades, and between the three different spaces was a bit of a challenge (especially during exam week), however the team pulled together to complete the project in time for the classes to start within the regular schedule. Special thank you to three or four major trades: Lights on Site for all the late night work on the significant electrical work required, to Graff Concrete Cutting and Coring, and to RPM Drywall, for all their efforts on the walls and ceilings. Also, the team who put together the ProCyc green wall and floor; a combination of Rutherford staff, RPM tradesmen and Carpet/Flooring technicians from Carpet Plus. 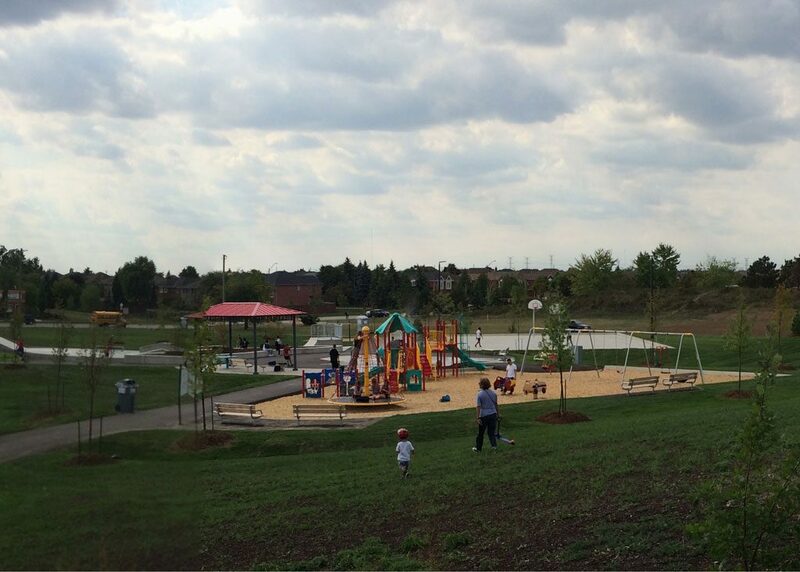 Union Park, a newly constructed community park in Mississauga, is built to be enjoyed all year long. 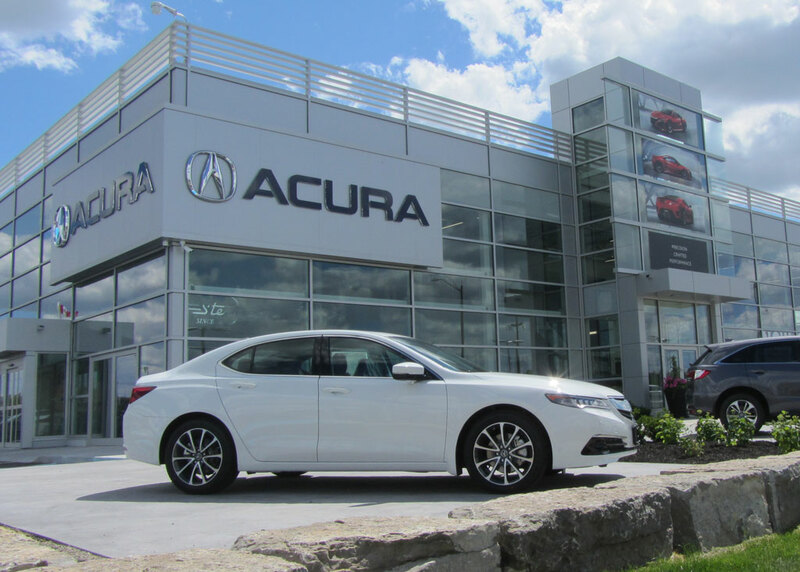 It caters to the entire family and community and it truly has it all. During the summer months, young children can enjoy the water misting station and playground. 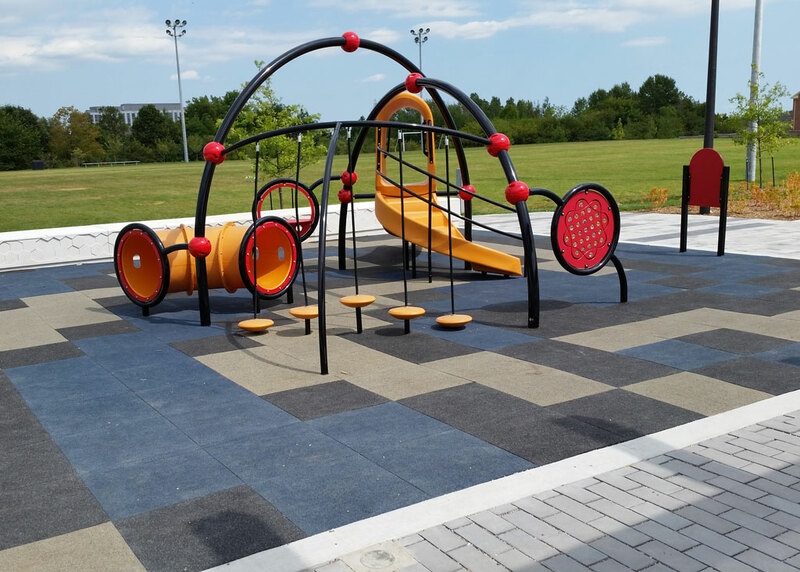 Built-in ramps ensure that the playground is accessible and the park even includes a fully accessible swing. A multi use court gives youth the opportunity to play basketball during the summer months with drainage to transform the court into an outdoor skating rink in the winter. Children can also take full advantage of the skate park which is one of the largest features in this park. Adults can workout on the outdoor exercise equipment. All equipment comes complete with signage showing different modifications to the exercises in order to match the person’s capabilities. Union Park is just one of the many projects we have completed that give residents in the community something to be proud of. This is our passion at Rutherford. We strive to build projects that enhance our communities and give families the opportunity to connect with one another, which keeps them coming back year after year. We love what we do. This is why we build. New park including custom swing court, custom play structures, rubber tile safety surface, splash pad with colored concrete and recirculation water filtration system, specialty metal fabrication, site furnishings including; custom granite benches, custom precast benches, picnic tables, ping pong table, players benches and bleachers; multisport court, full size soccer field with full lighting system, maintenance building, precast electrical building, stone masonry feature walls, planting shrubs, trees, perennials, grass, unit paving, permeable pavers, concrete walkways with embossed patterns, asphalt walkways and parking lot; and electrical works. 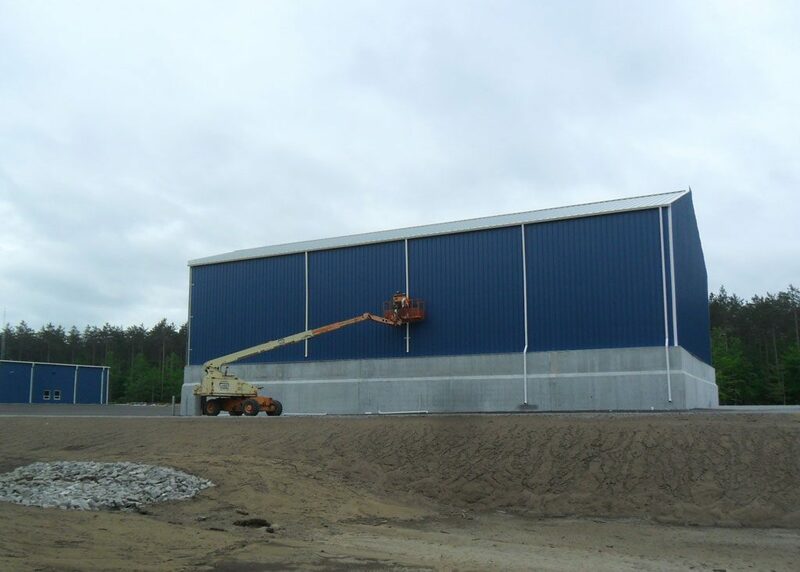 Pre-Engineered building with five (5) bay maintenance shop including offices, mezzanine storage at one end, a three ton crane and two hoists. Construction also included a dry storage building with a 3.6m high concrete base, wood framing and metal siding and roof to provide closure for salt and sand storage as well as an above ground fueling station complete with concrete pad. Construction of a new 24,000 ft2 two storey automobile dealership including all excavation, backfill, site servicing, grading, landscaping, fully finished building interior with showroom, drive-in client reception area, offices, service area, wash bays and storage. 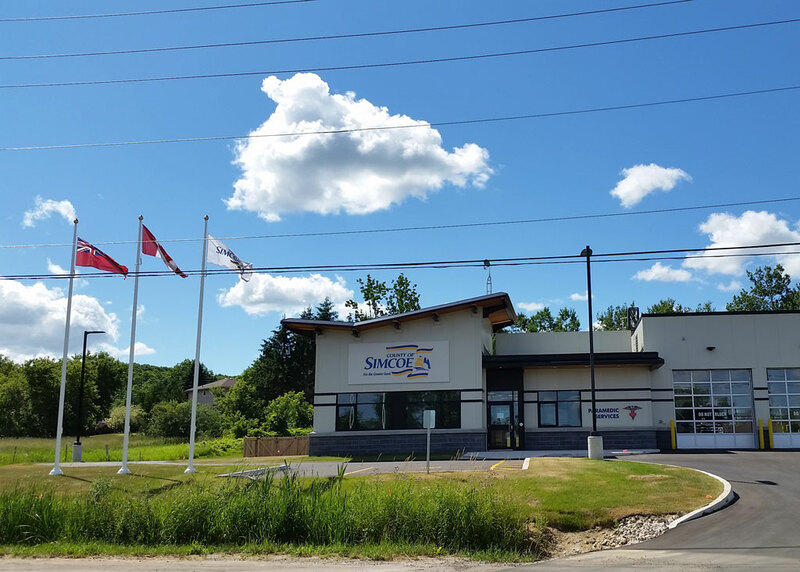 Construction of two new one story Emergency Medical Service facilities located in Alliston and Beeton. The scope included but was not limited to new foundations and piers, structural steel, brick veneer/insulated metal panels, mechanical and electrical systems, aluminum windows/curtain wall, modified bituminous roofing system. Finishes consisted of millwork, sealed concrete floors/VCT floors, drywall and paint. 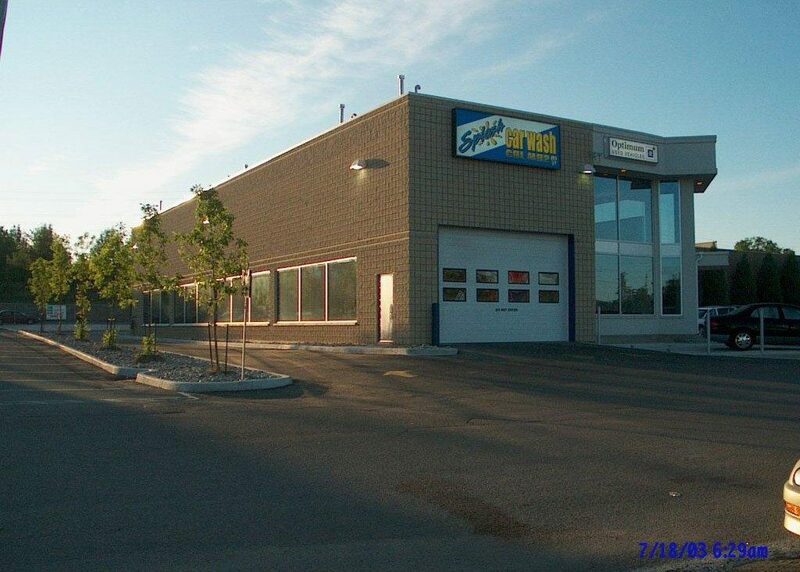 Exterior work incorporated new sanitary/storm sewers; asphalt, concrete curbs and sidewalks and landscaping. 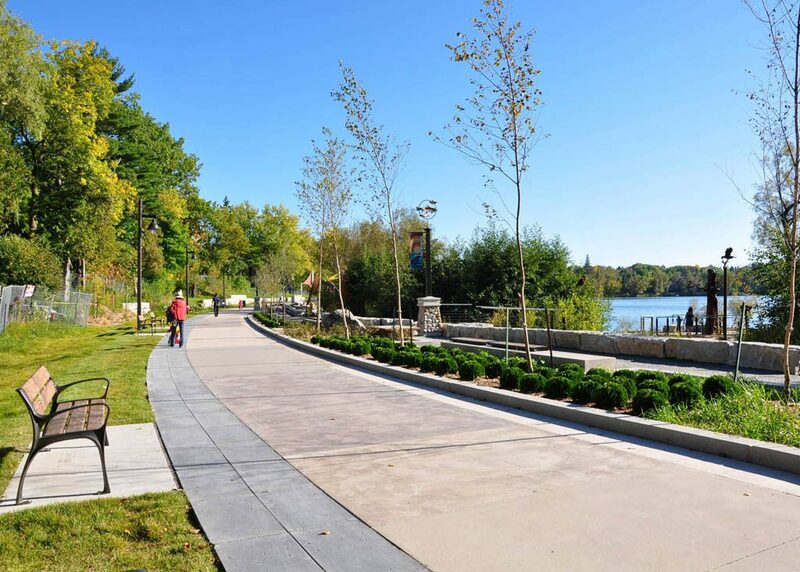 This award-winning project for the Town of Richmond Hill involved the conversion of a beachfront roadway into a pedestrian promenade creating a significant lakefront attraction for residents from around the Greater Toronto Area. The site features an outdoor classroom that extends across marshland to a raised boardwalk, to a peninsula with armourstone seat walls, stainless steel & cable railings and a custom carved tree sculpture. The raised boardwalk is semi-circular and extends out into the lake on helical piers. A pedestrian bridge crosses one of the creeks that flows into Lake Wilcox. The bridge has custom corten steel figures cut into the railing, Ipe decking and engraved handrails. The main promenade is comprised of custom shapes, colours and patterns along the length of the concrete walkway. Wave patterns, engravings and large precast paver inserts highlight the walkway. The redevelopment of nearly one kilometre of shoreline required a variety of protection strategies including silt fence, coir logs, check dams, turbidity curtains and pumps for extensive dewatering measures. Additional construction activities included significant asphalt roadway reconstruction and upgrades to municipal services at either end of the site to tie the promenade into parking areas. 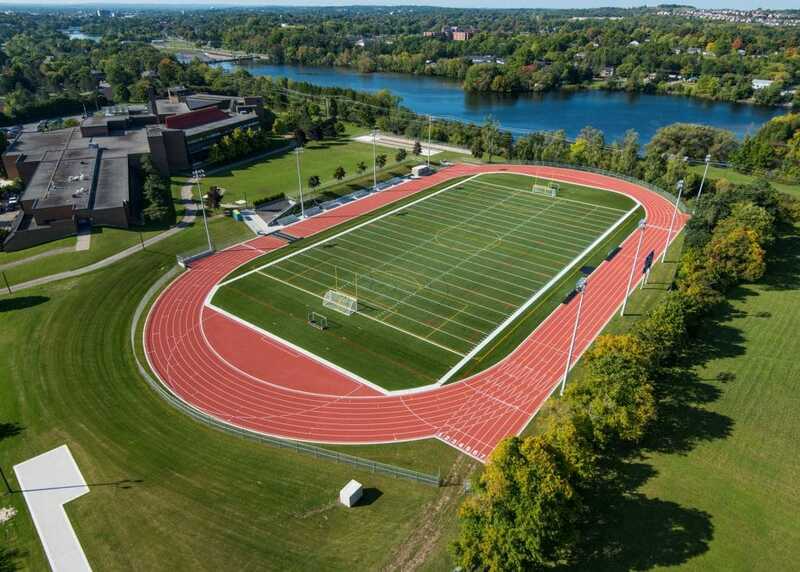 This project for the City of Peterborough involved a field conversion from a natural turf field to a FIFA 1 Star artificial turf multi-sport field, 6 lane rubberized running track and long jump/triple jump/steeple chase/high jump/pole vault/shot put/discus/hammer toss facility. Construction activities performed included extensive excavations and site grading, installation of extensive sub-drainage, site servicing and outlet control structure. Additional construction activities included installation of Granular “O” for field base, irrigation, electrical servicing, stadium lighting & scoreboard, extensive concrete and asphalt paving, bleachers and soft landscape works. The Holcim Waterfront Estate, formerly known as the “Bell Gairdner Estate” or Ontario Hydro’s “Fusion Fuels Technology Centre”, is located on a 44 acre lakefront property at the south-western corner of the City of Mississauga. 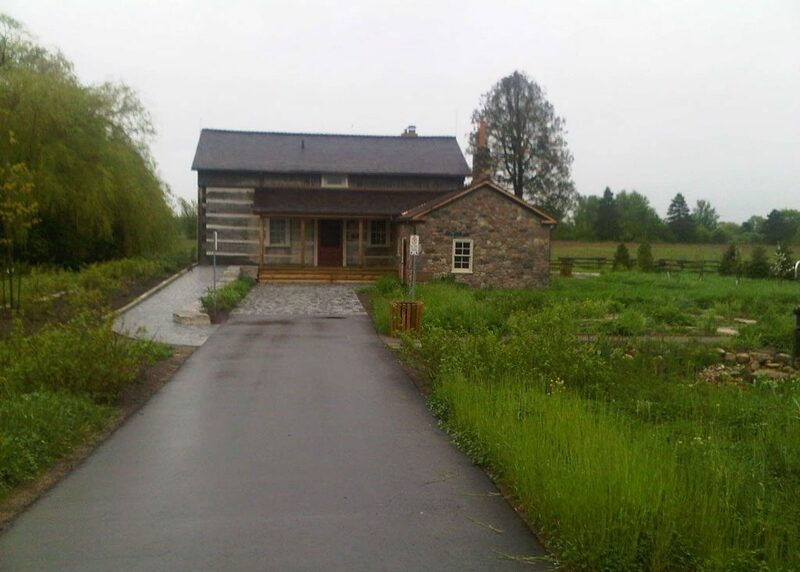 The property extends from Lakeshore Road, south to the outlet of Joshua Creek and the Lake Ontario shoreline. Built in 1937-1938, the manor house and coach house were designed by renowned Toronto-based architectural firm Marani, Lawson & Morris in a modern classical style. The property was used as a private residence from its construction until 1960 when it was sold to Ontario Hydro, who used it as their Canadian Fusion Fuels Technology Centre until 1999. 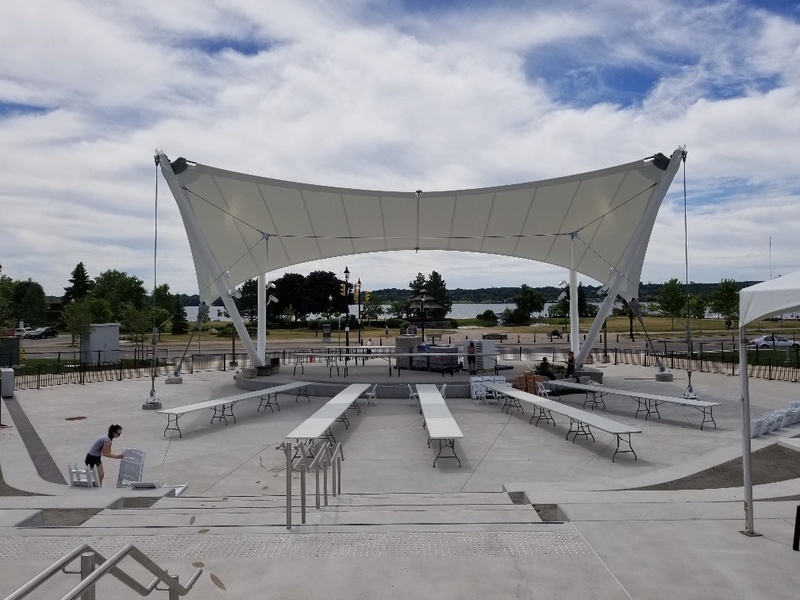 At that time it was sold to the City of Mississauga who recognized the site’s historical value and potential for use as a banquet and event facility, as well as a public park with access to the Waterfront Trail. 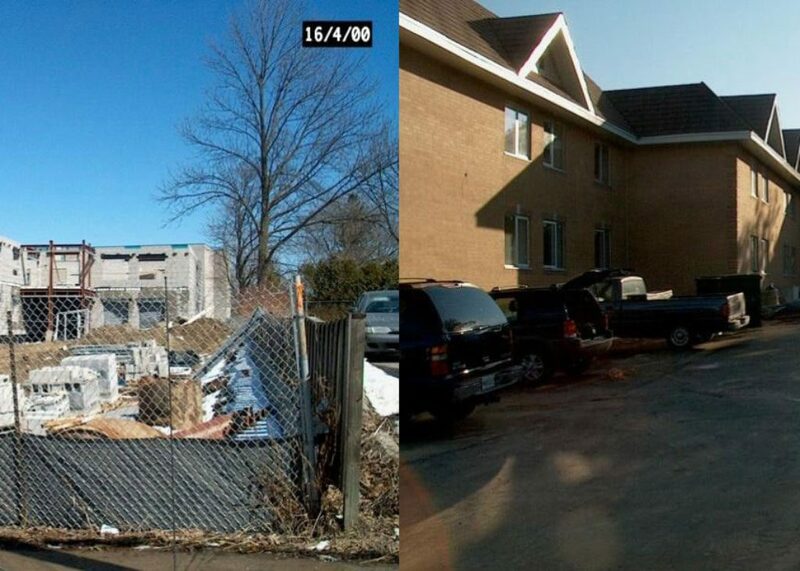 The site remained unoccupied, in a deteriorated state and was frequently vandalized until 2012 when Rutherford Contracting Ltd. was retained by the City of Mississauga to carry out extensive historical renovations to the manor house and coach house (a combined floor area of approximately 13,400 sq. 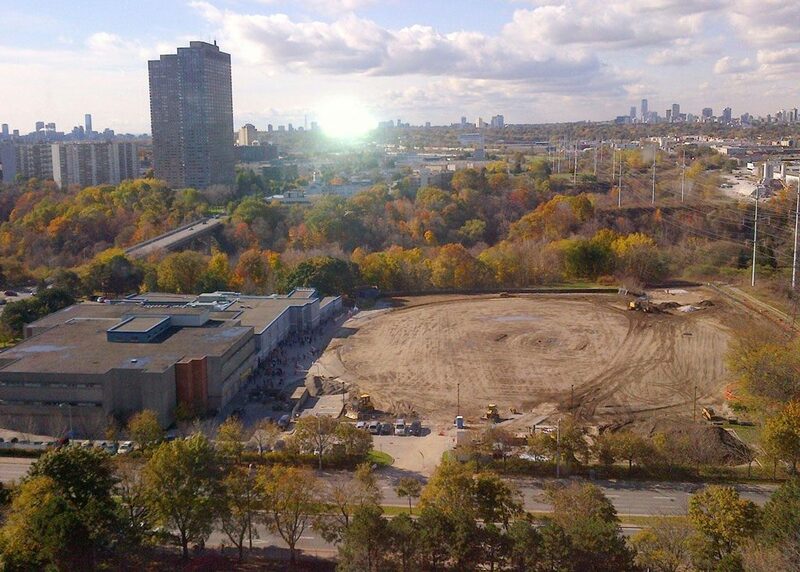 ft.) and to convert a large portion of the 44 acre overgrown site to a public park. Oakville based architectural firm, ATA Architects Inc., developed an alluring design to restore the derelict buildings to their former grandeur by keeping with the original architectural style, preserving a heritage staircase and library in the manor house and reconfiguring the spaces of both buildings to suit their new intended use. The buildings were also brought up to the current building code and were made barrier free accessible. As part of bringing the manor house up to code, the building had to be gutted and stripped to its bare structure (heritage staircase & heritage office excluded) and reinforced using structural steel and timber to comply with current commercial loading requirements. 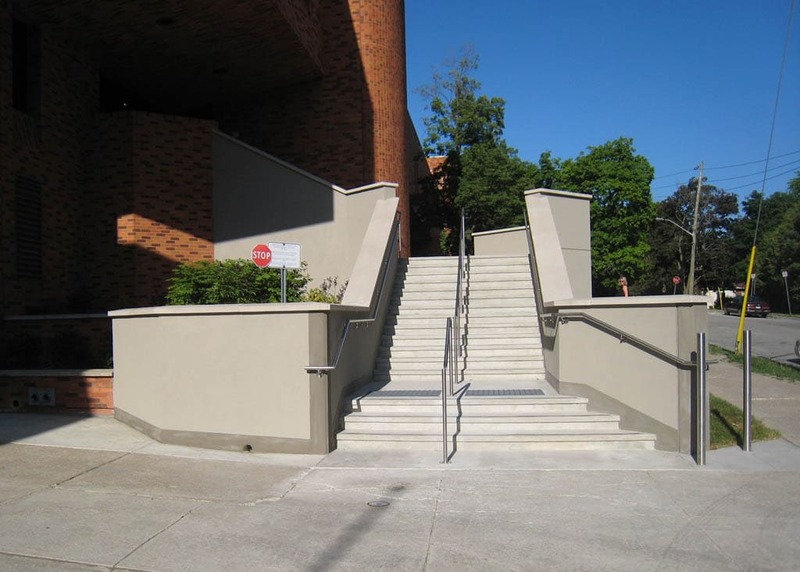 A new staircase was built from the second storey to the basement to serve as additional exiting due to occupant load, and an elevator was installed from the second storey to the basement for barrier free accessibility. The construction of the new offices and manufacturing plant for Geo. A. Kelson consisted of two phases. The first phase consisted of the demolition of an existing building complete with footings and foundations, excavation, new concrete footings and foundations, new concrete stair towers, backfilling and new site services. The second phase included structural steel, slab on grade with concrete floor finishing and preparation of concrete at 2nd and 3rd floors. The second phase also included the construction of exit stairs and railings, new roof system, curtain walls, structural glass, precast and ACM panels, fireproofing, insulation, sealing, electrical, voice and data conduits and rough-ins, coordination of mechanical work, as well as exterior site works which included curbs, concrete and asphalt paving with heated sidewalks, and landscaping. A large, two story addition on an occupied senior centre assisted living facility. Forster House, located in the town of Richmond Hill is one of the most historically, and culturally significant structures in York Region. The two storey house and adjacent barns were originally constructed in 1830, and designated historically significant in 1996. Through the government of Ontario & Canadaís Infrastructure stimulus fund, funding was provided to restore the house, out-buildings, and grounds around it for community use. Throughout the project, great detail and attention had to be made in order to maintain the integrity and significance of the buildings. The restoration of the site surrounding the house and outbuildings is an environmentally sensitive conservation area, and required specialized techniques to protect the array of bio-diversity. 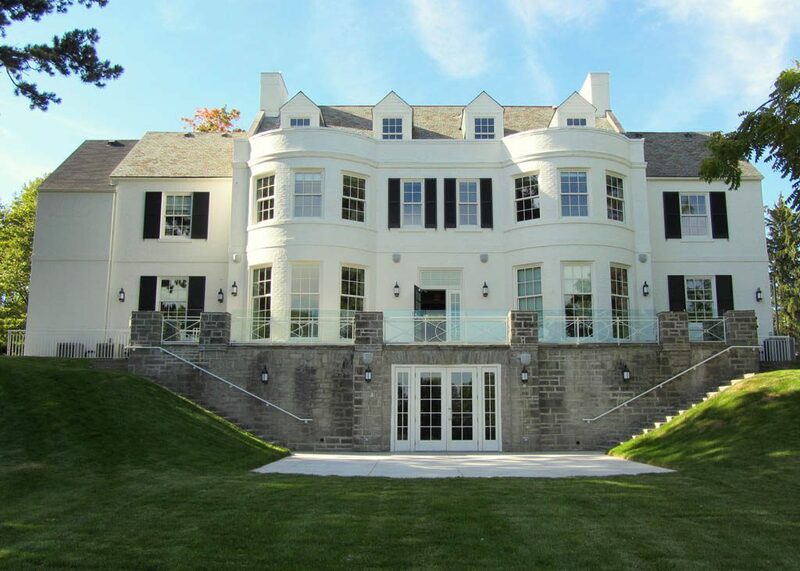 Works on the project included selective demolition, site servicing, asbestos abatement, mold removal, interior finishes; roofing, and extensive hard/softscape works. Rutherford was able to successfully restore the house, out-buildings, and site under strict working conditions, ahead of schedule. The site adjacent to the house and outbuildings used selective planting to enhance the bio-diversity of the conservation area. The site is now used by a multitude of community groups, and is a key educational spot for youth in York region. The restored site provides students with critical environmental education and awareness, and showcases important historical artifacts from the communities past. 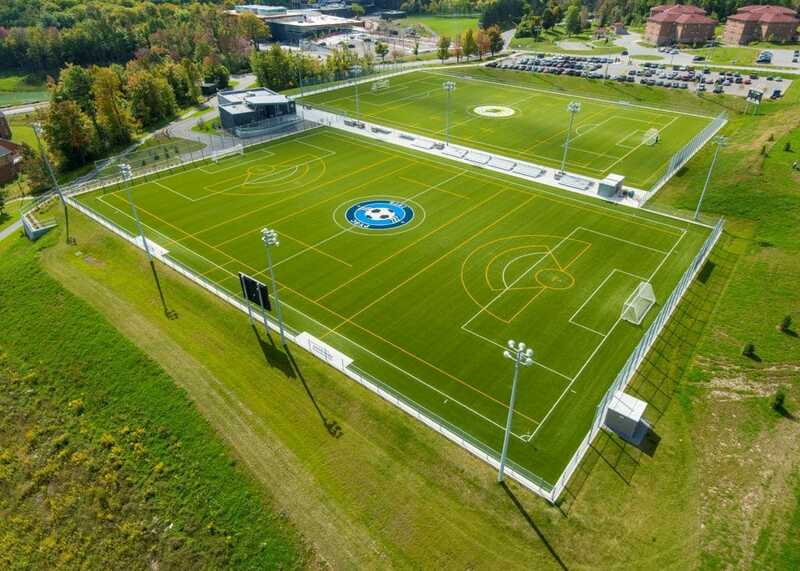 The Richmond Green Sport’s complex, located in the town of Richmond Hill is the largest multi-purpose sporting complex in Richmond Hill. Richmond Green boasts several baseball diamonds, soccer fields, a two pad Arena as well as a water & skate park, and is a premier sporting destination in York Region. 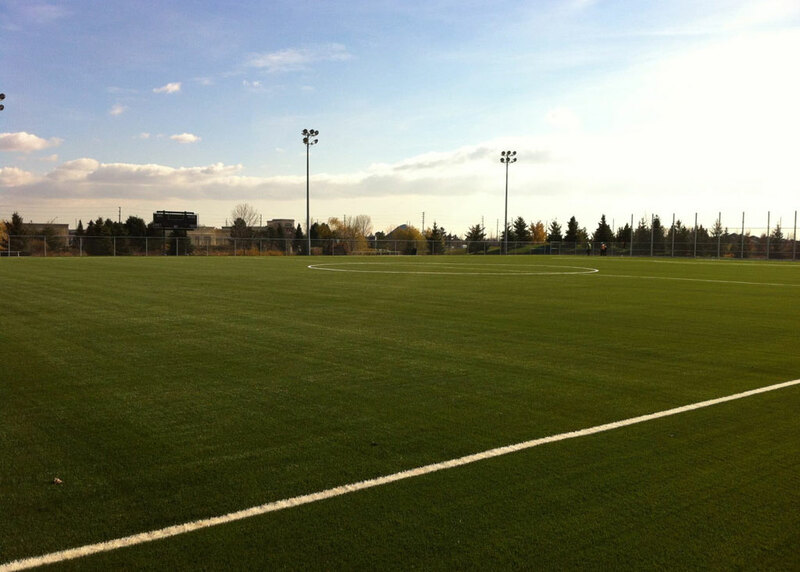 Rutherford Contracting recently installed a new FIFA 1 Star Artificial Turf Soccer field at the Richmond Green Complex. The Project involved removing an existing turf field, installing extensive site servicing, stadium lighting, bleachers, concrete paving, fencing & an electronic scoreboard. The project involved a tight construction schedule, and called for the protection of an environmentally sensitive wetland area immediately adjacent to the site. During construction, the remainder of the Richmond Green complex needed to remain open and unobstructed for use by clients. Rutherford successfully completed the project ahead of schedule while protecting the adjacent wetland and keeping the entire facility operational. The installation of the new field will allow the Town to host both International & semiprofessional level soccer matches, and enhances the caliber of soccer that players and teams can expect in Richmond Hill. The new field will provide a world class playing surface for generations of players to come. 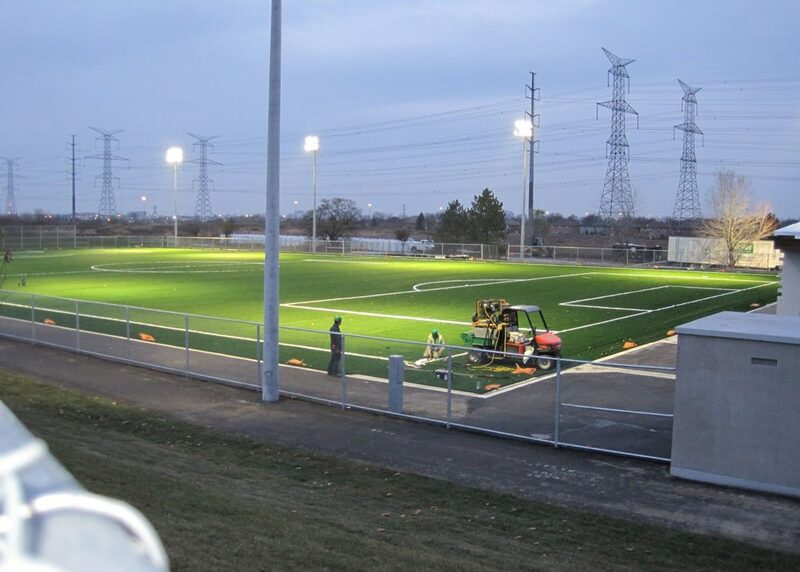 The St. Roberts Artificial turf field and dome was a collaborative project between the York Catholic District School Board, and The City of Markham. The project involved excavating a natural turf field at St. Roberts Catholic High School, and adding a new artificial turf soccer field, Dome, and Washroom Building. This project involved moving several portables that were in the proximity of the new field to a separate part of the school. During the construction phase, the school and additional sports fields had to remain open for use by students, staff, and community groups. Rutherford was able to successfully complete this project on-time, while allowing clients to continue to use the adjacent facilities. The new artificial turf field and dome provides the students of St. Roberts Catholic School, and people who live in the Markham community the opportunity to play soccer year round; the dome insulates 1/3 of the field during the winter months. Works on site included site preparation and demolition, installation of grade beam, asphalt paving, fencing, field drainage, site servicing, site electrical and sports field lighting. Moose beach park, constructed on the shores of Lake Simcoe is a premier water park and playground for the residents of Orillia. The park was constructed to resemble a sunken double masted boat with a shade structure. The sunken ship also acts a a splash pad with water jets sprays from various parts of the masts and floors of the boat. Special pre-cautions were taken to minimize any potential impact that construction would have on Lake, while meeting the tight deadlines imposed by the city. 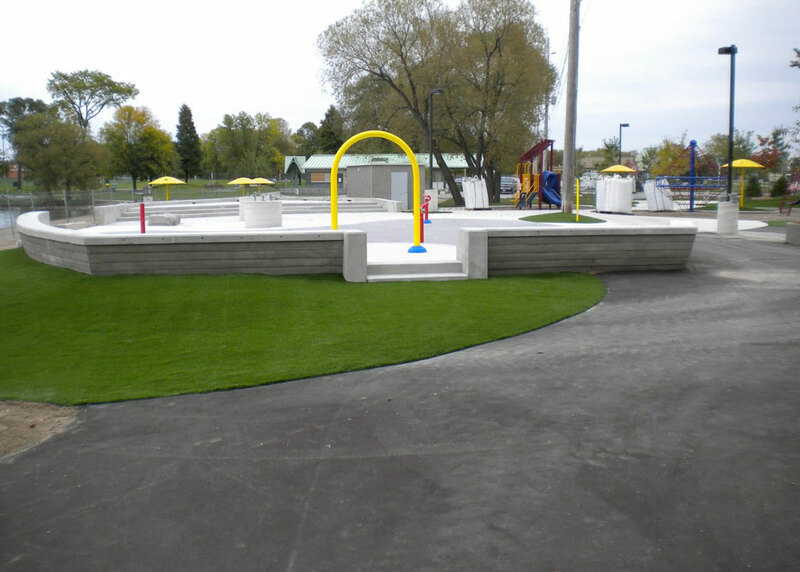 This project also included custom artificial turf, rubberized play surface and lighting. 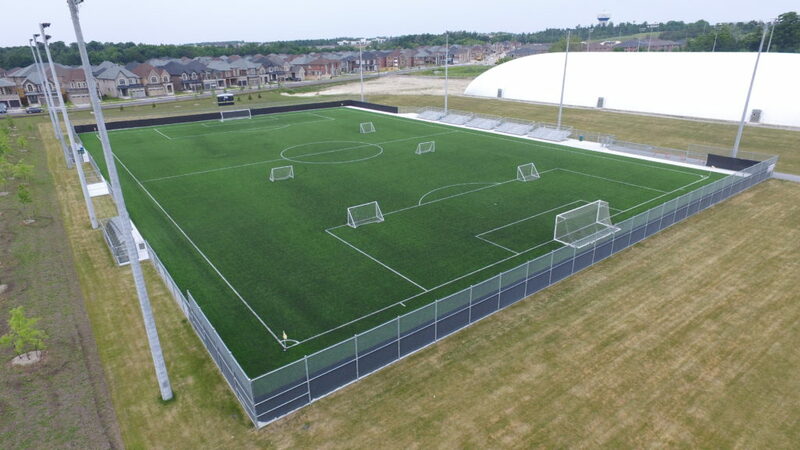 This project for the City of Peterborough involved the construction of two FIFA 1 Star artificial turf soccer fields and the construction of a new change house. Construction activities performed included extensive excavations and site grading for new fields, installation of extensive sub-drainage, site servicing and installation of Granular “O” for field base. Additional construction activities included installation of a new parking lot, Durahold segmented retaining wall system for new change house, fencing, electrical servicing, stadium lighting & scoreboard, concrete and asphalt paving, and soft landscape features. 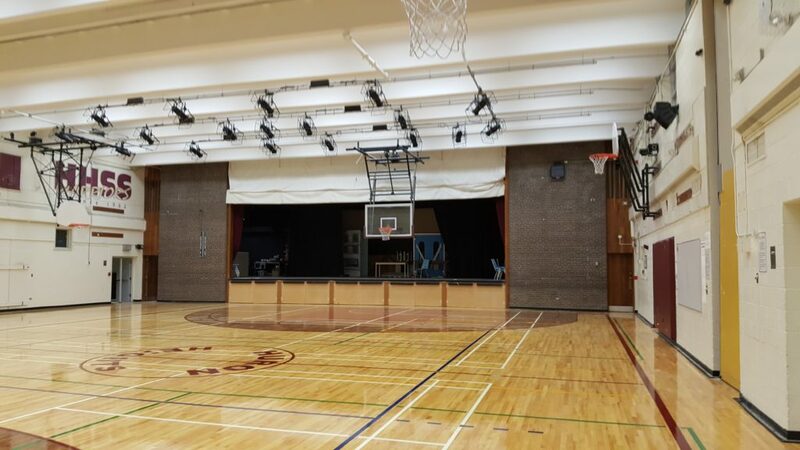 This project for the Toronto District School Board involved the construction of a cricket field, clay surface running track, amphitheatre, basketball courts and baseball diamond. The site also features a bioswale and marsh/meadow naturalized area. Construction activities performed included demolition and removals, grading, topsoil replacement, sub-drainage, asphalt paving, concrete paving & curbs, an armourstone retaining wall, sodding & seeding, rip rap, tree planting, meadow plantings, chain-link fencing, cricket sight screening, irrigation system & installation of site furniture/sports equipment. 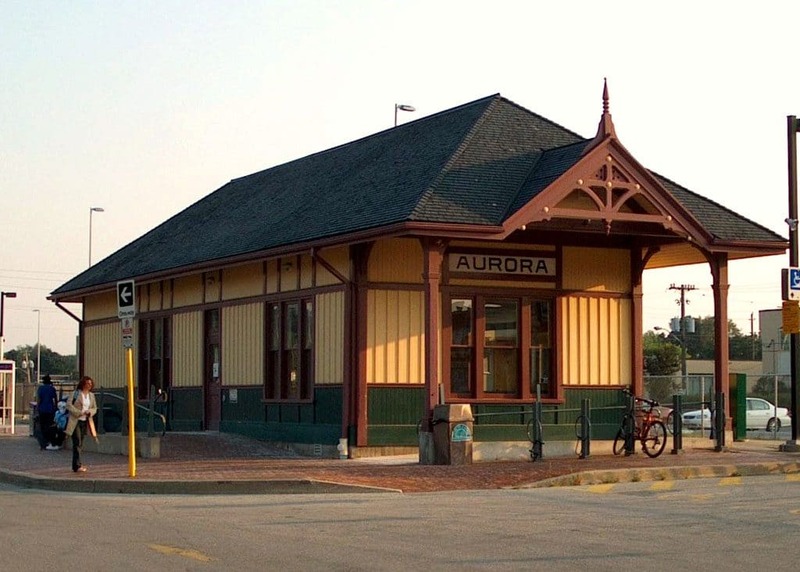 Due to this building’s historical significance, GO Transit decided to restore the old Aurora railway station to its turn-of-the-century appearance. This track-side historical restoration project involved the temporary relocation of the structure in order to construct a new concrete foundation due to the original wood post foundation no longer being suitable to withstand the mass of the building. Once the foundation was constructed, the building was moved back to its original location and restoration work could then take place. Some of the restoration work included the complete replacement of the tongue and groove ceiling that could not be salvaged due to water damage and restoration of board and batten exterior walls which were clad with a retrofit wall system. The original exterior colours of red oxide, green and yellow were verified through careful scraping of many layers of paint throughout the exterior restoration process. Now in the role of a modern GO Transit commuter station, this beautiful heritage building will serve the travelling public for many years to come. 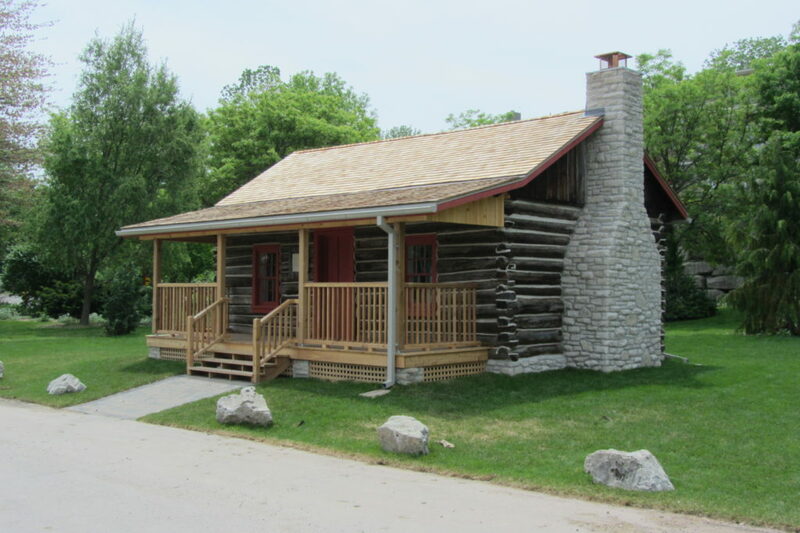 This historical project involved the relocation and restoration of a settler’s cabin, originally built c. 1820’s. Construction activities performed included temporary stabilization of existing structure, relocation of the structure via crane and transport truck, the construction of a new floating slab on grade concrete foundation, new rubble stone foundation walls, chimney & fireplace, the replacement of several rotted cedar logs which required hand hewing, replacement of all chinking between logs, restoration/replacement of historical windows, doors and hardware, re-finishing of existing tongue & groove interior plank flooring, construction of a new covered porch with custom milled timbers and new cedar shake roof with custom eaves troughs & down spouts. Site works included excavations for new granular sub-drainage system below floating slab on grade building foundation, site surface grading, interlocking stone walkway, topsoil and sod. This project for the Ontario Infrastructure and Lands Corporation (Infrastructure Ontario) involved an exterior stairwell replacement at the Barrie Courthouse Complex. Scope items included demolition of existing stairs & landings, public safety hoarding protection, new concrete foundation walls, new concrete stair and landings, slotted drainage system at middle landing area, new masonry copings and stucco finish to new concrete stair walls and new stainless steel handrails. This work was carried out while the building was occupied and noise restrictions were in place when courts were in session. 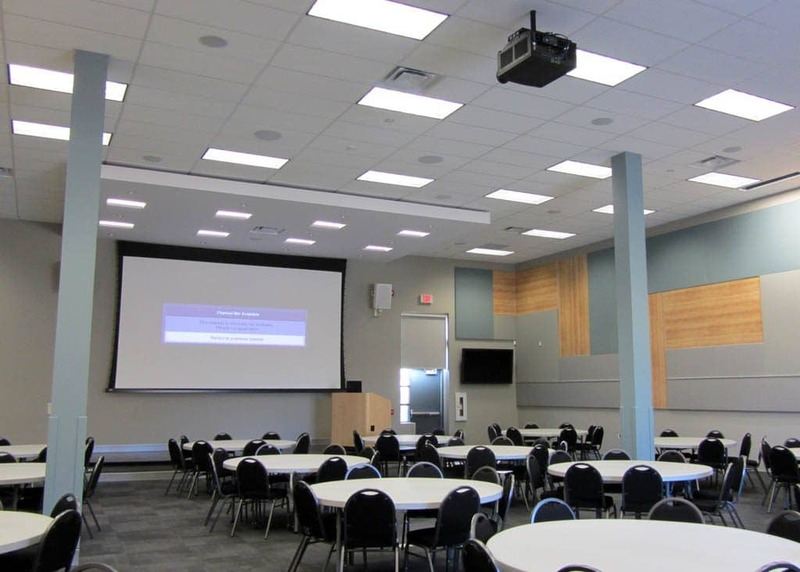 This project for the Durham Catholic District School Board involved the conversion of an existing warehouse/storage area to a conference facility that features new washrooms, warm-up kitchen, foyer, storage room, AV room, stage platform and offices. Scope items included demolition of existing interior partitions/finishes, door infills, structural steel reinforcement for new mechanical unit, steel stud, drywall & acoustic panelling, millwork, flooring & wall tile, mechanical, electrical and a state-of-the-art audio visual system. Site works included infill of an existing loading dock, cedar board fence with double swing gate, galvanized steel exterior entrance canopy, concrete & asphalt paving, curbs, planting & sod. 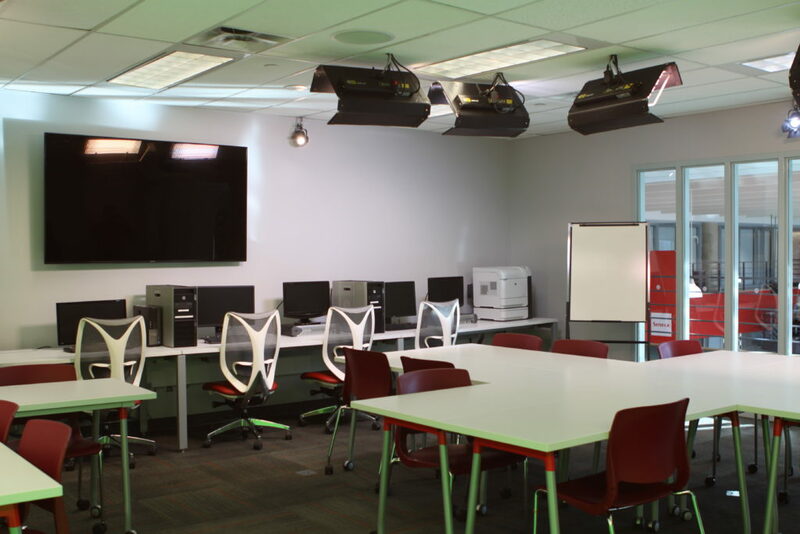 The projects completed at the Seneca College Newnham Campus included a renovation of their building ‘D’, cafeteria & corridor, chemistry lab, renovation of Senecentre, renovation of a dance studio, and renovation of their International Student Services area. 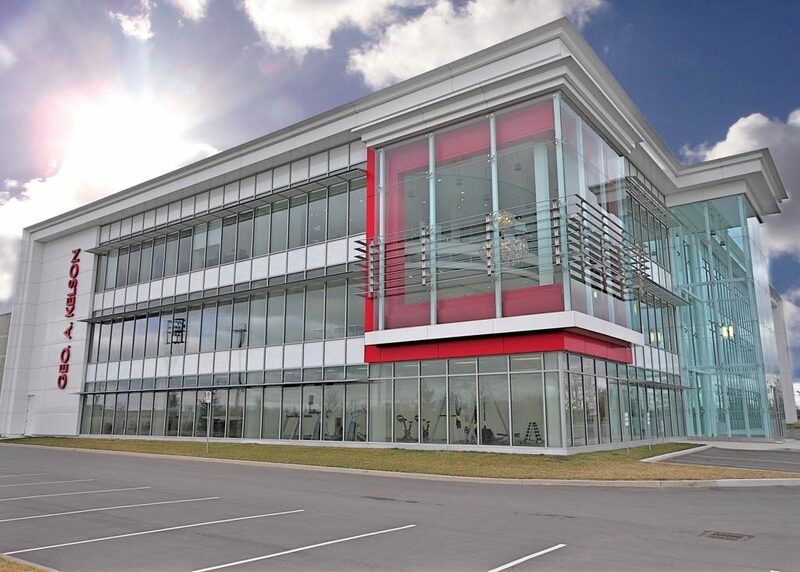 Work carried out at Seneca College Markham Campus included an extensive transformation & upgrade to their 3rd, 4th, 6th, 7th, and 9th floors where existing office spaces were converted to classrooms and executive offices. Other work areas included the conversion of their underground parking lot into Student Lecture Hall, Server Room Alterations, extensive mechanical and electrical upgrades including installation of a new cooling tower and dry coolers, new air conditioning units and diesel generator, conversion of existing fire alarm system, as well as outdoor walkway and lighting installations. 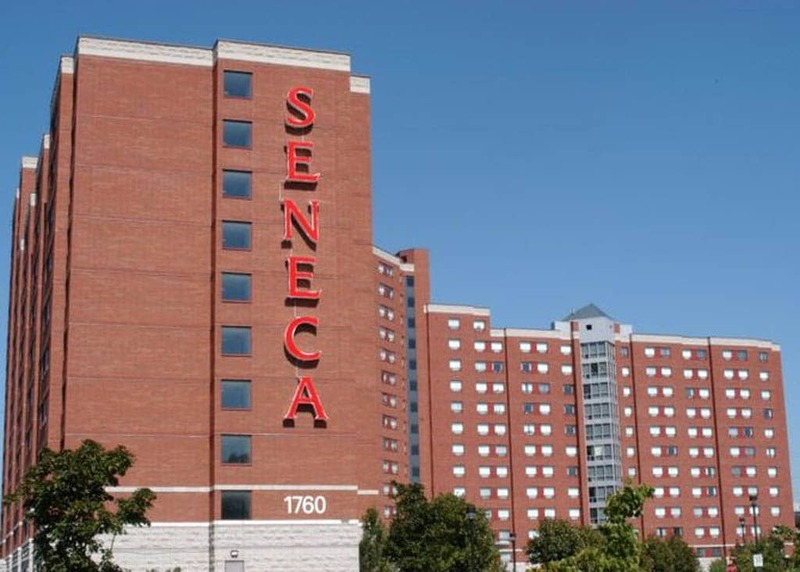 Projects at Seneca @ York Campus included a Welcome Centre renovation, creation of a First Aid Room, and conversion of an existing multiple occupancy washroom to a single occupancy Universal Washroom and single occupancy Men’s Washroom.